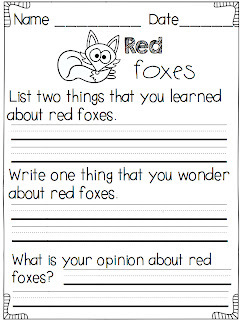 Seeing as everyone in my class is OBSESSED with the song… and foxes for that matter, I figured I would jump on the bandwagon and use this to my advantage. We have been working diligently on finding the main idea and details in passages and are still having a hard time finding them. I created a packet to help my students with these concepts. 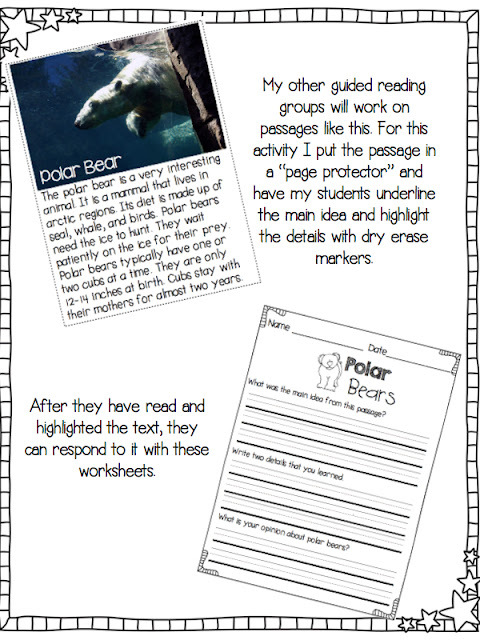 To help them, I created nonfiction readers for all the reading levels in my classroom. 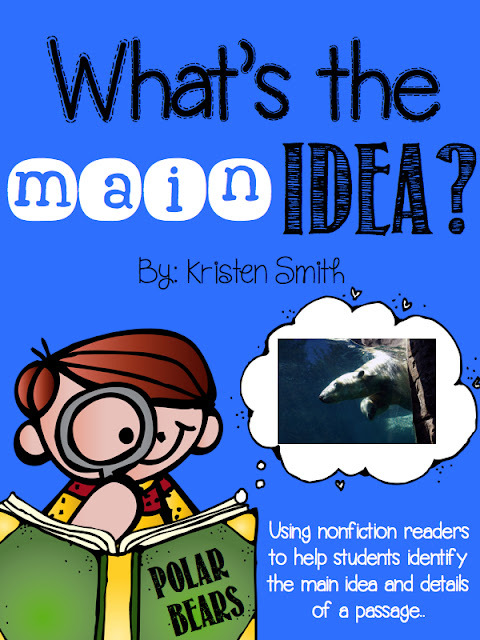 In my packet, ‘what’s the main idea?’ my students will be working on their level with nonfiction texts that are both interesting and engaging. 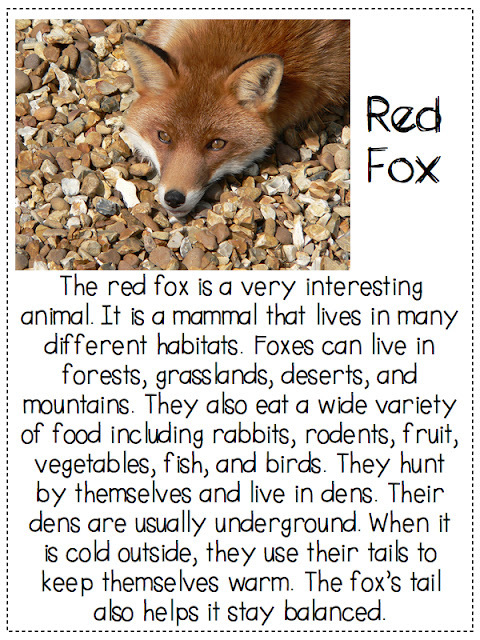 By using nonfiction topics, my students will be interested and ready to learn. However, you can grab a sample of this packet here! 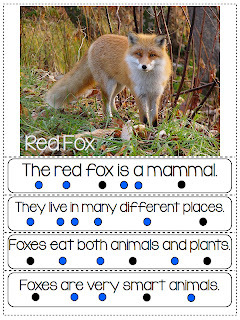 This sample is all about our favorite animal, the fox! 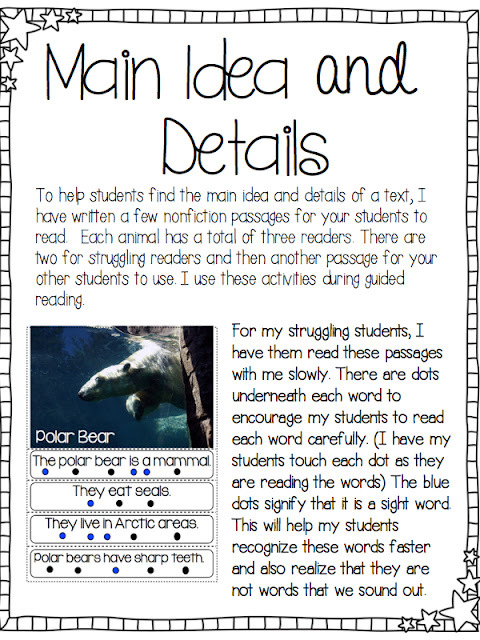 This page is for your students who are still struggling with reading. I have my students touch every dot as they read to help them slow down and read carefully. The blue dots signify sight words. This helps my struggling students know that these are words that we know and that they are words that we might not be able to sound out. 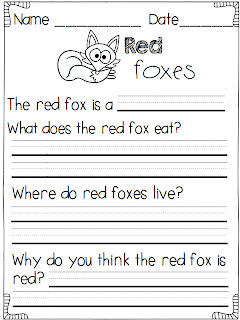 After we have read the passage, we will answer the questions on these worksheets. This is a great time to practice the skill, “go back and reread.” It also helps these students look for details and facts in their passage. My other students will work their way through this passage. 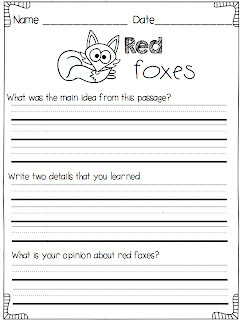 I have them put these in “page protectors” and use dry erase markers to underline the main idea and highlight some of their favorite details. After this group has read this text, they can complete either or both worksheets. 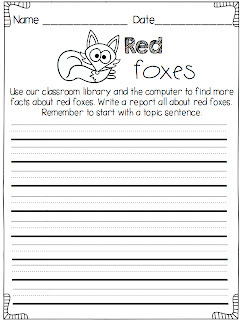 The first one has students writing about the main ideas and details, and the other one extends the learning even farther by having students read books, research on the computer and write a report on red foxes. 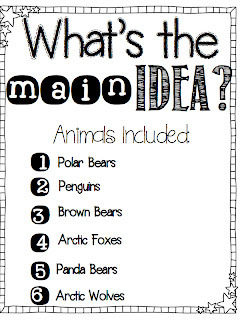 My packet “What’s The Big Idea” includes 6 different animals and multiple versions of these pages for your students to complete. 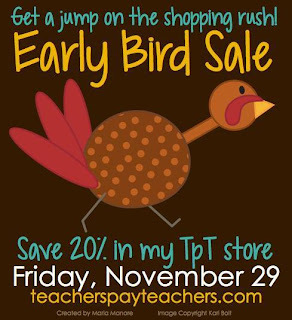 Now for some even better news- since today is “black Friday” you can get everything in my store for an additional 20% off! I hope that you had a great Thanksgiving! So excited about this packet!! 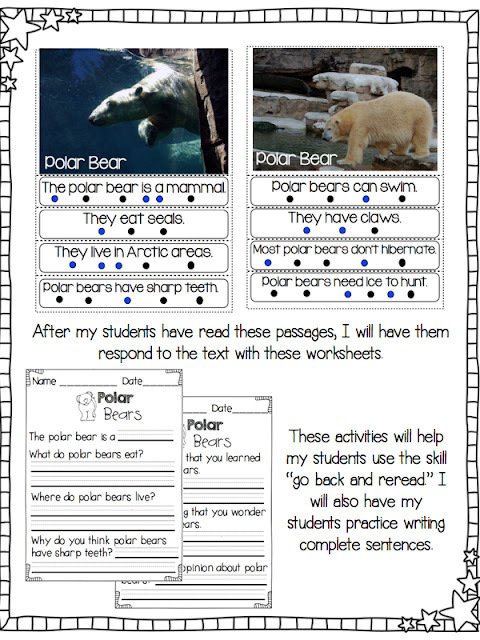 What a wonderful guided reading/main idea resource!!!! You amaze me!!!! I must have this! Fantastic!!! Thanks for sharing this great resource- just what my Firsties need! I loved your ideas! Thanks for sharing.